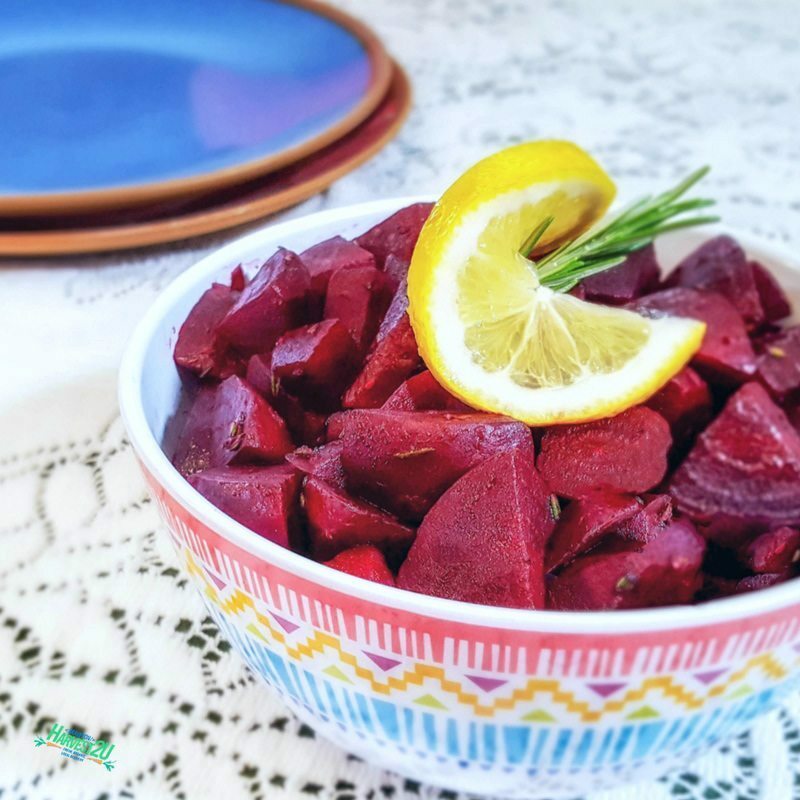 Rosemary beets (beets in particular) are high in fiber, vitamin C, potassium, and manganese. This healthy side dish keeps it simple with some fresh herbs and lemon juice. Trim off the tap root and the greens from the beets. Put in a saucepan and cover with water. Bring to a boil – lower heat to medium to cook until tender, 20-30 minutes depending on the size of the beets. Drain and cover with ice water until cool enough to handle. Trim the beets completely and slough off the peel. Cut into chunks. Heat olive oil in a skillet over medium heat. Add beets and rosemary and cook until rosemary is fragrant and beets are heated. Squeeze lemon juice over the beets and serve.